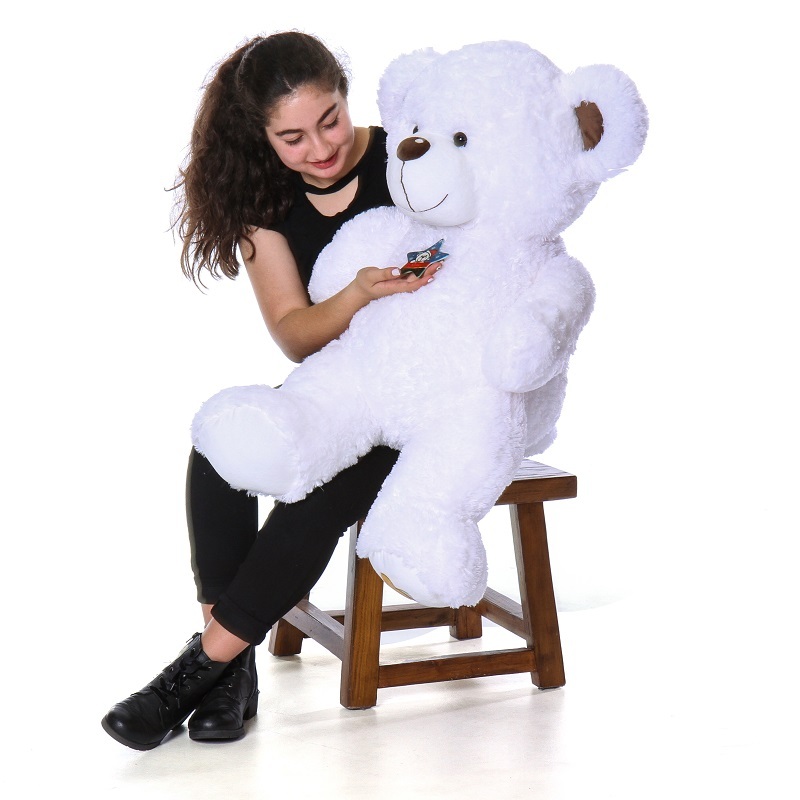 Big Love is the perfect 4 Foot (48 in) life size Christmas Teddy Bear with snowy white fur so soft you’ll think you’re hugging a fluffy cloud! Big Love is adorable, cuddly and huggable, with warm brown eyes, a soft chubby black nose, and a big happy smile. Coco Cuddles is wearing our custom ceramic star shaped ornament featuring a teddy bear in a red Santa hat peeking over your personalized message. Make your holidays a whole lot brighter with our enormous Merry Christmas White Teddy Bear!